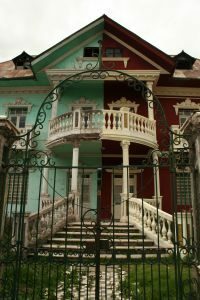 Which Spouse Remains in the Home During the Pendency of a Florida Divorce? “I can’t take this anymore, we must get a divorce!” “Well, I’m not leaving.” This dialogue, to the extent there is any dialogue at all, is common prior to and during a Florida divorce case otherwise known as a Florida Dissolution of Marriage. This conversation then leads to the following question: Which spouse remains in the marital home during the pendency of a Florida divorce? During a Florida divorce there are so many moving pieces and areas filled with uncertainty. Some divorcing couple move into separate residences prior to either party filing for divorce. Yet, there remains the other group of couples who are still living in the same home at the time of the initiation of the divorce proceedings. If one party does not voluntarily choose to move out of the shared residence, and the parties do not wish to continue to live together, who gets to remain in the home under the dissolution / divorce laws in the State of Florida? When real property or a leasehold is jointly titled to spouses both spouses have the right to the use of the owned or leased property, until a temporary order of exclusive use and possession or an ordered injunction placing restrictions on one spouse’s use is entered by a judge. If both parties remain in the home upon the filing of divorce, and neither party wants to budge on moving out of the home, the courts can be brought into the equation to have a neutral party make a ruling regarding who is to remain in the home. The court does not automatically get involved regarding who remains in the residence unless the appropriate motion is made by one of the parties to the divorce. The obligation of the parties and a Florida family law judge’s involvement in making a determination as to who is to remain in the residence is contingent upon a wide variety of factors. There is no simple answer to the question of who will stay and who will leave. The burden of proving that the other party should vacate the premises will be on the party making the motion. The court will consider the numerous factors and make a ruling based on Florida law and equity. If you are leasing property together and the name of both spouses is on the lease both parties have the legal right to remain in the home, but that’s not always the ideal situation in the midst of a divorce. The lease is a separate agreement with yourself and the owner of the property. More likely than not the contract does not include a clause allowing you to dissolve the lease agreement as a result of your pending divorce. The obligation due under the contract will still remain. Even though you do not own the property in question the court still may rule on who has exclusive use and possession of the leased premises. While the court has the authority to make this ruling this is still an arrangement that should be discussed with the owner of the property so the appropriate changes can be made to the lease agreement and access can be restricted to the non-possessing spouse.